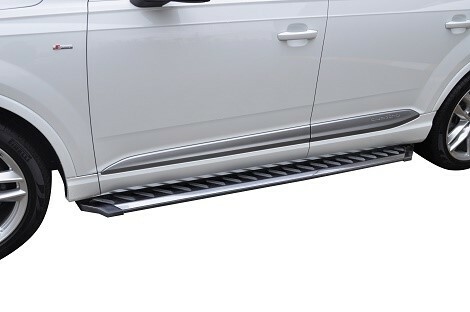 Unlike the majority of SUV, CUV, and pickup running boards on the market today, Romik Running Boards are available in a wide variety of different styles, each with their own unique look. We decided to break down the styling and features of each one of our Romik running board models to help you make a more informed decision and choose the style of running board that's right for your modern vehicle. The RAL series of running boards is designed with contemporary European style in mind. These running boards match the striking lines and aesthetic textures of modern SUVs like the Audi Q7, BMW X5, and Jeep Grand Cherokee for a OEM+ look that is as functional as it is complementary. The RAL-T is a similar model using the same modern European-influenced styling but with full diagonal traction lines for even better footing while wearing boots on the jobsite and for just a touch of uniqueness. Both the RAL and RAL-T are 5 ½ inches wide and available in either polished aluminum or black anodized finishes. And because their made from aircraft-grade triple-wall aluminum extrusion each running board can support more than 400 pounds. The RB2 series from Romik was created in 2014 as an updated version of our now discontinued but extremely popular RB1 series. Like it's predecessor, the RB2 running boards use a sleek and classic design that doesn't look out of place on any vehicle on which they're installed. The RB2 series is 6 inches in width and is available in black anodized or a hybrid Stainless Steel finish. 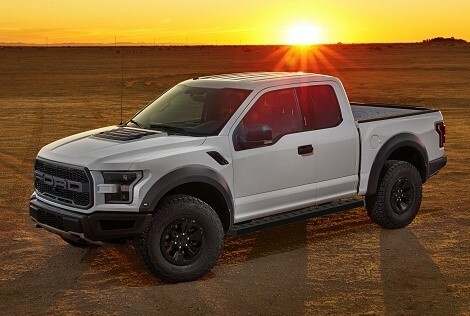 Like all Romik running boards, the RB2 uses aircraft-grade aluminum extrusion for unrivaled strength and can support up to 450 pounds of weight. The ROF series is one of our newest products and is modern take on the rugged and popular rough-step style of truck running boards. One of our strongest models able to support up to 500 lbs, the ROF series is 6 ½ inches wide and is lined with perforations that provide drainage and edges that bite into the sole of shoes for ultimate traction. All ROF running boards come in a durable black anodized finish and includes a built-in shoe scraper to keep the interior of your truck free of mud and snow. 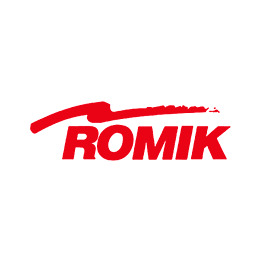 All Romik running boards are made in Europe with the highest-quality T6061 aircraft-grade aluminum and are backed with the Romik Lifetime Warranty for your peace of mind. If you have any questions or would like help finding the running board model best suited to your particular vehicle, call us at 1-866-717-6645 or head over to our Romik Support page and fill it with your information so we can contact you.